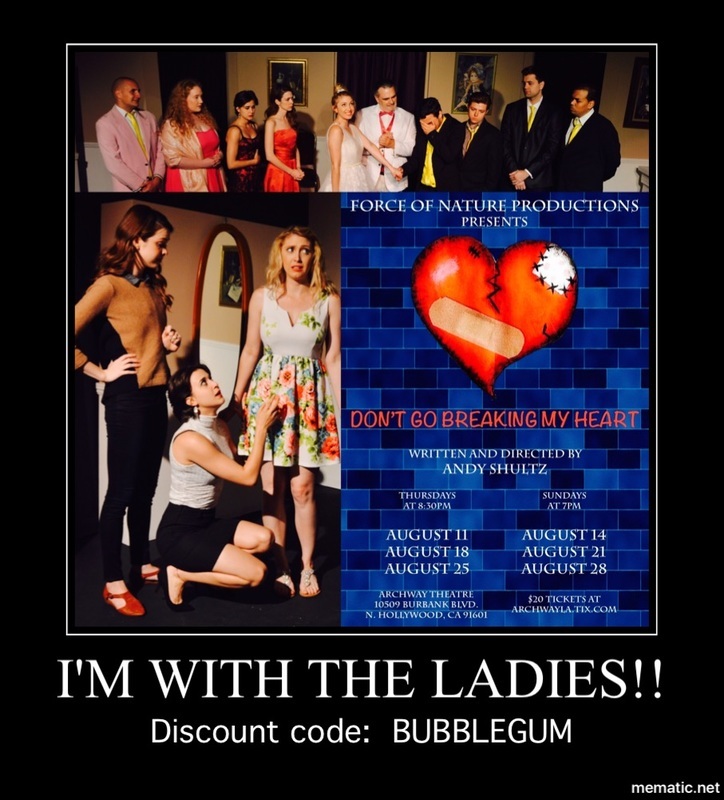 "Don’t Go Breaking My Heart"
What happens when “ladies night out” crosses paths with their significant others’ “guys night out?” Force of Nature Productions answers that with “Don’t Go Breaking My Heart.” A hilarious and epic Battle of the Sexes. 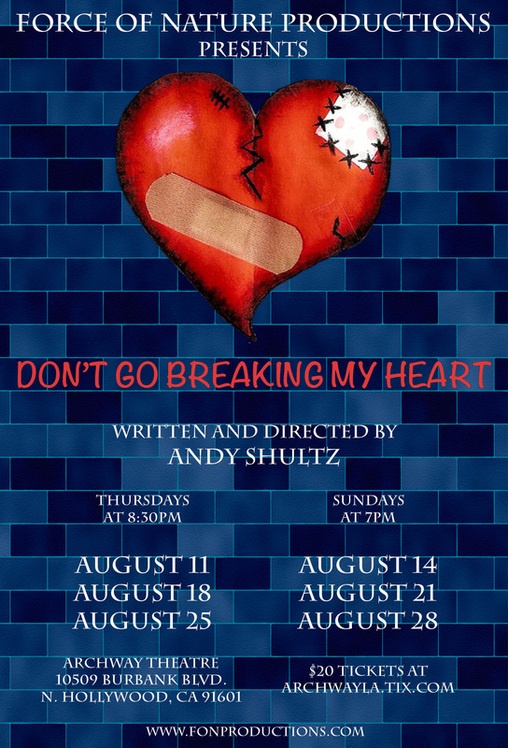 "Don’t Go Breaking My Heart" follows an evening in the home of Alan and Diane, where she’s hosting her girlfriends in the house while Alan has a poker game with the guys in the garage. What unfolds is learning each side’s point of view on love, life, marriage and everything in between until all hell inevitably breaks loose. 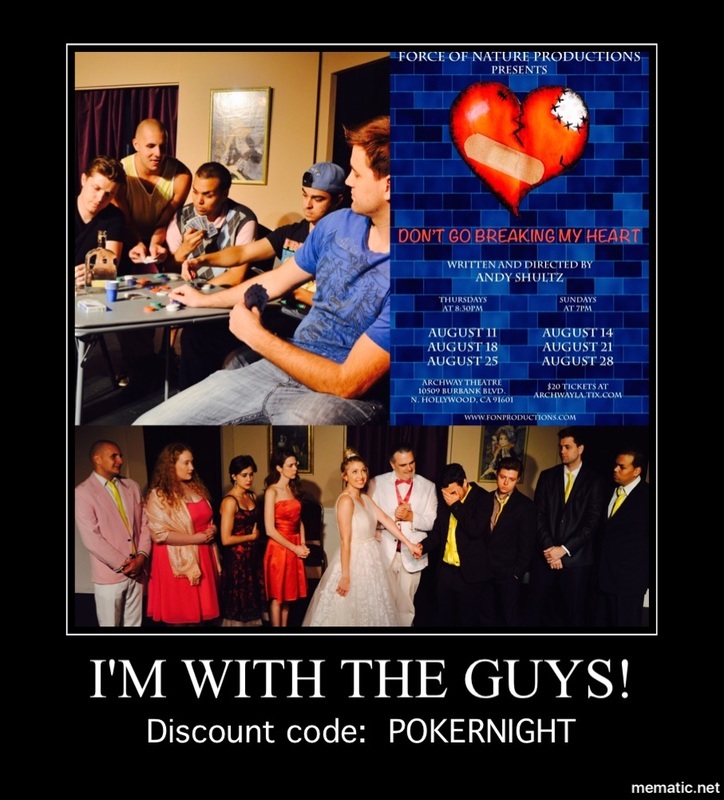 Gloves come off, battles ensue and a big secret is learned that no one saw coming. Who will you cheer for?